To keep pace with the growing demand for higher bandwidth and faster data speeds, fixed-line operators around the world are racing to deploy fiber deeper into their access networks and deliver the next-generation gigabit experience their customers crave. While 90 percent of service providers globally are committed to investing more in fiber as a top business priority, this change in diet brings new operational complexities, impacting existing operational support systems and the ability to launch and scale services quickly. However, many are now looking to reap the benefits of their investment through the introduction of new services and delivering a superior quality of experience to subscribers. So, the pressure is on to add innovative new IP services over fiber, such as IPTV, 4K/8K streaming video, and wholesale services for backhaul. What’s the problem? Getting the first gigabit service up and running is table stakes. This typically means customization of new business flows within the OSS and the integration of at least one fiber vendor equipment type. When you want to scale to introduce more complex services, like IPTV offering mixed broadcast and OTT content, mixed OLT and ONT vendors, and business flows, this has a significant impact on the OSS. It’s not surprising, then, that more than half of operators globally cite their existing OSS as a significant limitation for deploying new fiber-based services, with service configuration, activations, and order management being the biggest hurdles to overcome. Seeking to shed light on the critical questions surrounding the scaling, migration, and management challenges service providers face regarding new fiber-based services, Incognito partnered with Heavy Reading to survey more than 150 global wireline service providers about their fiber buildout, service activation, and maintenance strategies. This is the first study in the industry to examine the operational implications of introducing and managing IP services over fiber – with some startling results. 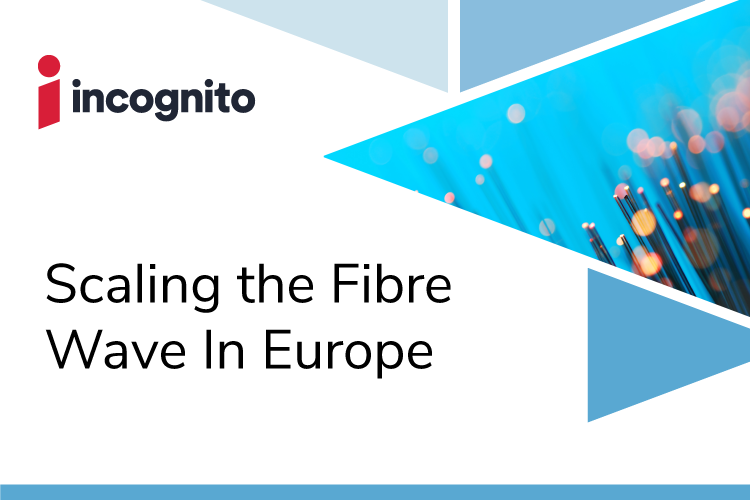 Among the notable regions included in the study was Europe, a market where the number of fiber subscribers has grown significantly over the past decade and is now reaching a pivotal point in its transformation towards fiber. European service providers accounted for about 25 percent of the responses. It’s clear from the survey that European service providers are committed to their fiber journey. Notably, 58 percent of respondents said their company has already started extending fiber deeper into the access network, with an additional 36 percent indicating that they plan to start doing so by the end of this year. This is reflective of the fact that 80 percent of European service providers view deploying more fiber as one of, if not, the main priority for their organization. What’s more, the study found that in an effort to deliver a better customer experience, European service providers are electing to push fiber closer to the customer as part of their infrastructure strategy. As a result, operators can eliminate amplifiers in the network and move the optical conversion closer to end-users. Due to the competitive environment of the telecommunication industry, service providers are under pressure to boost network performance and improve quality of experience. It’s no surprise, then, that more than a third of European operators (36 percent) cited offering new services as the biggest driver for installing more fiber, followed by addressing surging customer demand in second with 19 percent, and improving network performance as well as the customer experience in third at 14 percent. Despite the technology’s clear benefits, the journey from copper services to new IP services over fiber is not without its challenges. For European service providers, the most significant hurdle they face in their effort to deploy new fiber-based services to customers is upgrading network platforms, including DHCP, DNS, and IPAM, to support new fiber networks. Additionally, the study found that successfully moving customers over to the new fiber network ranked as the top migration challenge from a technical and business perspective. Next, the survey sought to explore the biggest scaling, as well as activation and management challenges that wireline operators face with fiber-based serviced. When it comes to scaling services, introducing new services and overcoming installation issues emerged as the biggest thorns in the side of European service providers. Regarding the activation and management of new fibre-based services, European operators cited making ordering and billing changes to integrate the new network with IT, rolling out and maintaining new customer premises equipment, and integrating fiber customers onto existing OSS systems as their top challenges. As illustrated by the results of the survey, fiber networks bring about new business and operational processes that will need to be supported by OSS systems, and if not properly managed, will cause service providers to stumble off the starting blocks and fall behind the competition. In fact, two-thirds of European service providers view their existing OSS stack as a significant barrier to deploying new fiber-based services. As a result, there are two options for carrying out an OSS transformation project: replace or retrofit. For European operators, retrofitting existing OSS systems was the most popular option as 60 percent said their company would be taking this approach, while only 20 percent said they are planning to replace their existing OSS with a new fiber stack. To offer greater efficiency in the introduction of new fiber-based services, operators require a pre-integrated solution that can automate order management processes, integrate with existing BSS/OSS platforms, and provide end-to-end service monitoring and diagnostics. Incognito’s Fiber Service Orchestration solution solves these challenges by accelerating the deployment of new fiber-based services in weeks and reducing operational costs by automating processes like activation, diagnostics, and device discovery to meet the needs of service providers who want to monetize fiber faster and deliver a great broadband experience.